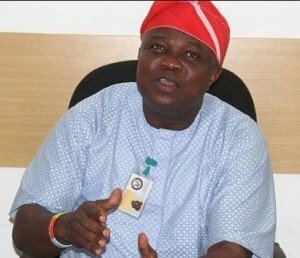 THE Lagos State House of Assembly, yesterday, ordered the Private Sector Partnership, PSP, operators to resume refuse collection and disposal with immediate effect Speaker of the House, Mr. Mudashiru Obasa, who gave this directive, on behalf of the 39 lawmakers during plenary, also said that Visionscape can no longer meet the yearnings of the state in the area of refuse collection. He ordered the Clerk of the House, Mr. Azeez Sanni, to summon the Commissioner for Environment, Mr. Babatunde Durosinmi-Etti, to appear before the House on the matter, next week. Newly acquired trucks by Visionscape for waste management in Lagos The move was sequel to a matter of urgent public importance raised by Mr. Gbolahan Yishawu, Eti-Osa Constitueny 11, on heaps of refuse scattered all over the state. Speaker Mudahsiru Obasa emphasised that the Lagos State Government does not know about Visionscape, reiterating that the House has since distanced itself from its existence. He stated that the executive arm of government did not consult the House on Visionscape before it started operation. Obasa said: “We insist that we don’t know anything about Visionscape because we were not consulted before they started work. We once wrote the Commissioner for Finance, Mr. Akinyemi Ashade, not to pay Visionscape again and he would return any money he paid to them after our instruction, to the coffers of the state government. We will go to that, when the time comes, but we have to do the needful now. “We are calling on the 20 local governments and 37 LCDAs in the state to have meetings with the PSP operators to go back to work and they should start paying them and make the residents to start paying the operators. We have to avoid epidemics and be proactive.” Obasa then warned those stopping people from dumping refuse at the dumpsites to desist from doing so, adding that he saw a lot of refuse trucks in bad states and that some of them have been abandoned. “We are inviting the Commissioner for the Environment to come and report to us within one week. The Clerk should write all the local councils in the state to do the needful and the Commissioner for the Environment should work on this and report to us in a week,” he said. In his contribution, Mr. Gbolahan Yishawu, said that there were several heaps of refuse on Lagos roads, adding that they were not like this before. “Some refuse are taken to Epe and Ikorodu but it is a bit far now as 300 instead of 800 trucks now dispose refuse. We used to dump the refusr in Olusosun, but the place was gutted by fire. We can give the place to private companies. Also, the Majority Leader of the House, Mr. Sanai Agunbiade from Ikorodu Constituency 1 revealed that there are heaps of refuse in his area, and that for the state to have good sanitation, a law on environmental sanitation was passed in Lagos State, but that it seemed it was not properly handled after that. “I will suggest that we should challenge those in the Ministry of Health and the Environment. We can invite the people in the Ministry of the Environment to know their challenges. This has become an eyesore in Lagos State. We should invite the people in charge,” he said. Also speaking, Mr. Bisi Yusuff from Alimosho Constituency 1 revealed that eight people died in Igando, where they dump refuse in his area. Yusuff stressed that Visionscape does not know the job, and that they did not even allow PSP operators to help the people. “We should look at it critically. They are not picking any refuse in the state. It is an important matter that should be handled urgently,” he said. In his comment, Hon. Abiodun Tobun from Epe Constitueny 1 stated that Lagos State is dirty and opposed dumping of refuse in his constituency because Epe is not benefitting from the system, that their water has been contaminated and their roads are now bad. “There is no industrial estate in Epe, but they have in other places. They cannot bring refuse dump to Epe, they can relocate it if that is what we are benefiting. 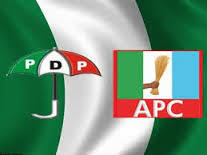 We want better things in Epe such as industries and other things,” he said. We’ll abide by the law —Environment commissioner Contacted, Mr. Babatunde Durosinmi-Etti said: “My Public Relations Officer, PRO, will release a statement on the issue soon. I can’t give any particular statement right now. Of course, we are working towards how we can work within a compromising consensus with what the House has said. “Though, we have not received any official statement from the House as I speak with you. I know the problem with the policy statement, but I will tell you one thing, we will also align in relation to the law of the land.